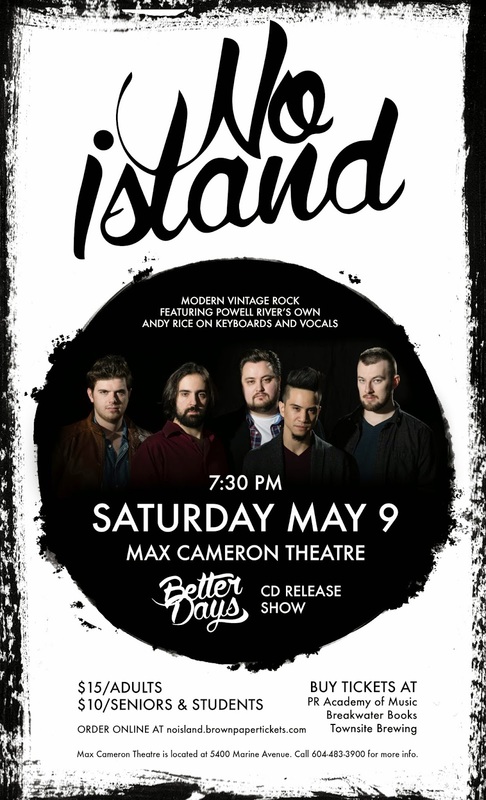 Tickets for our Saturday May 9 show at the Max Cameron Theatre in Powell River are on sale! Find them at Breakwater Books & Coffee, Powell River Academy of Music, and Townsite Brewing. Also available online at noisland.brownpapertickets.com and at the door.